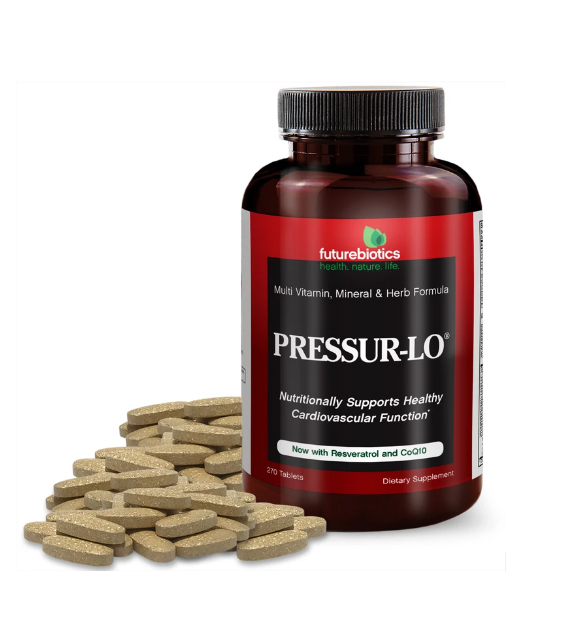 Pressur Lo, 270 tablets (Futurebiotics) - Penn Herb Co. Ltd.
Pressur-Lo™ brings together the vitamins, minerals & other key factors to nutritionally support cardiovascular function, with a particular emphasis on nutritionally supporting healthy blood pressure levels within the normal range. RESVERATROL…a naturally-occurring substance found in red wine, which research suggests may play a role in supporting cardiovascular health. 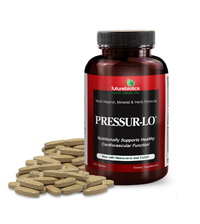 Supports blood pressure maintenance. DON'T USE IF PREGNANT. Adults take 2 tablets three times daily with meals or as directed by a healthcare professional. IF CURRENTLY TAKING A DIURETIC OR OTHER MEDICATION, SEEK ADVICE OF YOUR PHYSICIAN BEFORE TAKING. DON'T USE IF NURSING.